There are a lot of ways to roast a chicken, and this is my favorite. It's easy, fast, and every single time I've made it it has come out perfect. I posted about it before, a few years ago, and it's still my go-to chicken recipe. From Thomas Keller on epicurious. Preheat your oven to 450. Yes, 450, very hot. Dry off your chicken as much as you can, then sprinkle inside and out with salt and pepper. 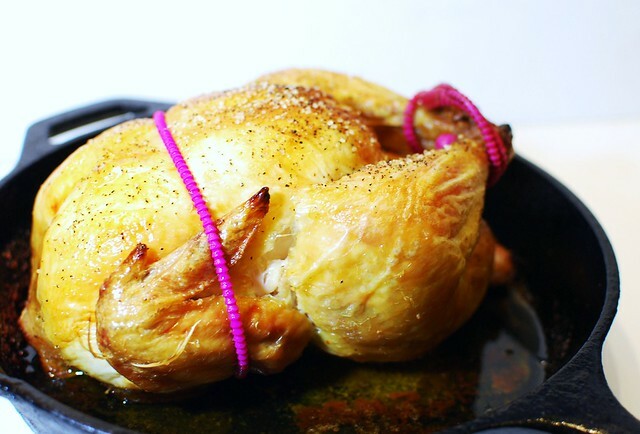 Truss your chicken, or tie it up tight (check out this link to learn how). 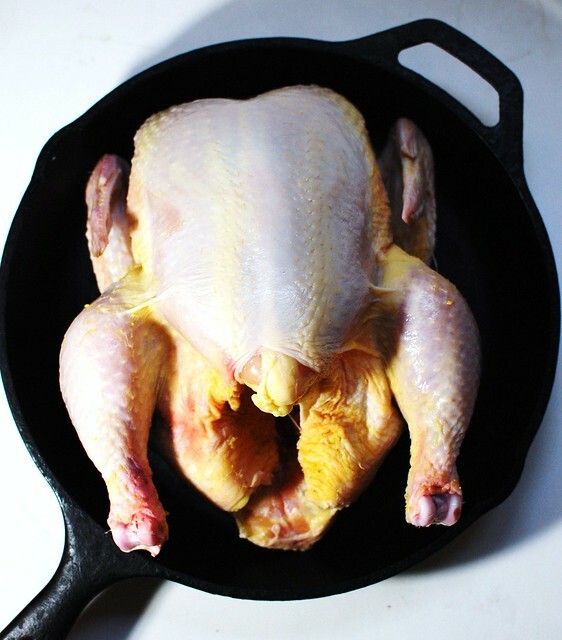 Place the chicken in a cast iron pan or other dark, oven proof pan, and cook for about an hour. I cooked mine about an hour and 5 minutes. You'll know it's done when the juices run clear and if you twist a drumstick it feels loose. Let it sit for 15 minutes, then cut up and serve. Thomas Keller recommends slathering the chicken with butter and dipping it in good mustard after it's cooked, but I think it's fine as is. Maybe the best rost chicken I've ever eat in my entire life !